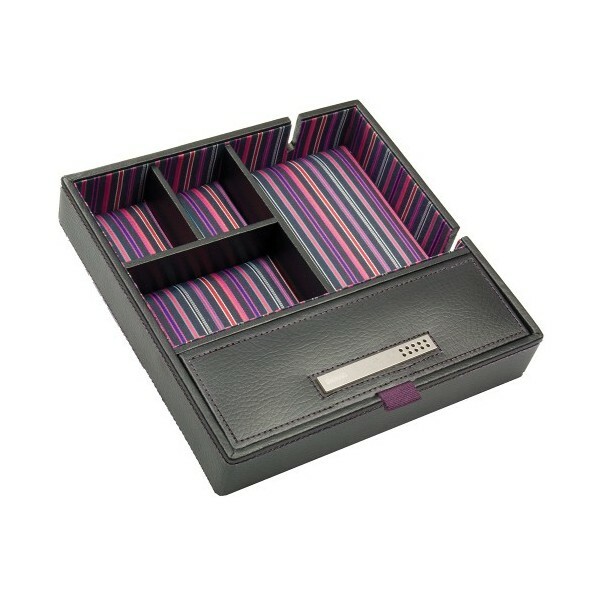 Valet tray with striped purple lining to match our range of watch, cufflink boxes and travel wallets. W 19cm, H 4cm, D 19cm. (approx W 7.5 inches, H 1.5 inches, D 7.5 inches). Mans valet tray features a mobile phone storage compartment with cut out space for the charger wires to sit neatly. 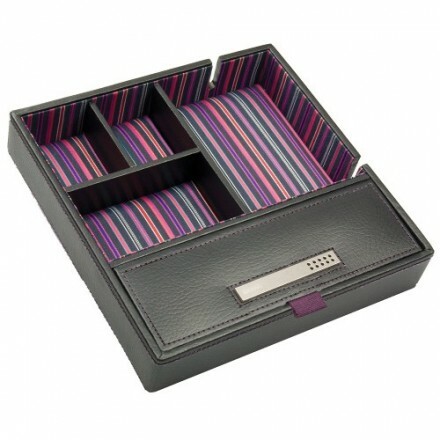 A lidded compartment and three further compartments for keys, loose change and any other small items...black leather with funky purple striped lining. This tray will be equally useful in the hall, dressing room or bedroom.